It’s never too early to start planning for what comes next. Many people put aside money as they approach the next stage of life, be it marriage, children, retirement, or even death. Forgoing certain luxuries to better save for expenses down the road is common, and, if everything works out, it pays off in a big way, leading to comfort and sustainability as time goes on. Preparing for the unexpected is also key, though some take it much further to stock up and get ready for an apocalyptic event they’re sure is coming where only the truly strong will survive. Ed Hemsler (John Lithgow) goes to the supermarket each day, paying for his groceries with a check, and returns home to correspond with his fellow conspiracy theorists about the impending crisis that only he and they are certain is eventually coming. Struggling to maintain a relationship with his son (Derek Cecil) which goes awry anytime he launches into one of his tirades about preparedness for the inevitable, Ed meets Ronnie (Blythe Danner) and begins to see a future together for them. As he opens up about his very distinct and paranoid worldview, Ronnie finds herself surprisingly pleased with this potential new partner. 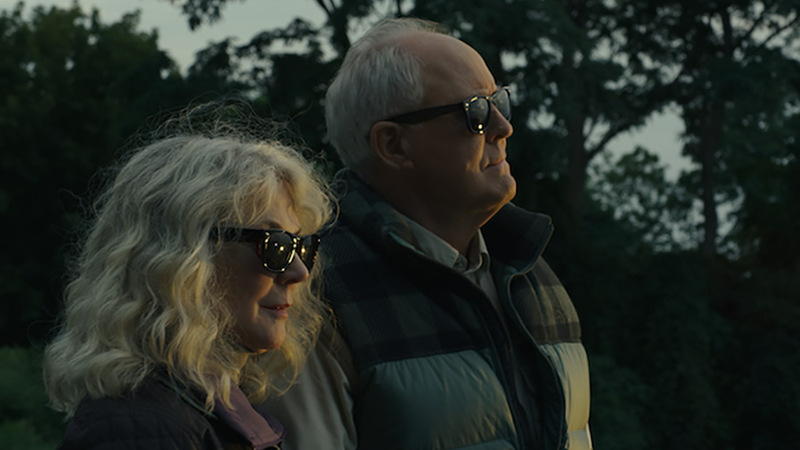 It’s rare to see a romantic comedy starring two actors in their seventies, but that’s exactly what Noble Jones’ feature directorial debut is, a wonderful transition following an extensive background in music videos and other film crew work. What Ed and Ronnie encounter isn’t about getting older but about determining what to do with the time that they have left. Ed spots Ronnie paying with cash in line of front of him and his curiosity is immediately piqued, and a sweet relationship ensues full of endearing moments and very human obstacles along the way. Lithgow, who also has a minor role in another Sundance film this year, “Late Night,” gives a terrific lead performance as Ed, who is so dedicated to self-preservation and ultra-readiness that he’s unable to see how people around him function. Danner, also great, is reserved but far more reactive, taken by Ed but bewildered by his aggressive energy. This film is a humorous version of “Take Shelter” with a cast of a different generation, smartly weaving comedy and heart into a lovely and highly entertaining picture of two people who might just be right for each other.